Brief: 140 Rooms and Suites, 2 Restaurants, a Night Club, Conference Center, etc. Interedec is private investor who owns several hotels in France and Morocco, operated by Hyatt and Mandarin Oriental. PoD provided architectural services for their next development in the Casablanca corniche. 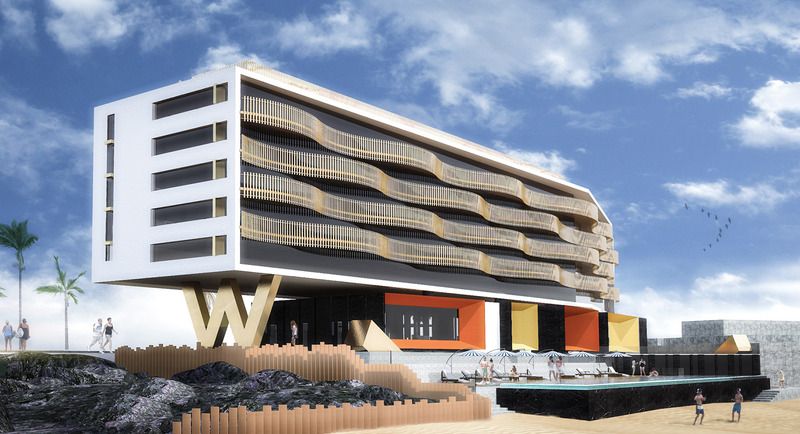 The Hotel will include 125 Keys, 2 restaurants, a night club , a conference center and a Spa and will be operated by STARWOOD under their design brand W Hotels and Resorts.